From CRISPR gene-editing technology to evolving questions surrounding physician-assisted dying and transplant research, we sit down with Dr. Arthur Caplan for a Q&A to discuss today’s bioethical challenges ahead of his appearance at NJIT on October 31. In the 1990s, Jack Kevorkian controversially brought the issue of physician-assisted dying to the forefront of a conversation at the crossroads of medicine, technology, law and morality — known as bioethics. That conversation has only become more complex today, as scientific advances continue to create new challenges for bioethicists considering the consequences of technology and how it may reshape medicine and society. Some countries have legalized or are now considering legalizing forms of physician-assisted dying for patients seeking to avoid technological death. The rise of new gene-editing techniques to essentially rewrite sequences of DNA in living cells — such as CRISPR/Cas9, introduced in 2012 — have raised new ethical questions over the boundaries, possibilities and risks involved in genetic testing with the aim of someday preventing hereditary disease. 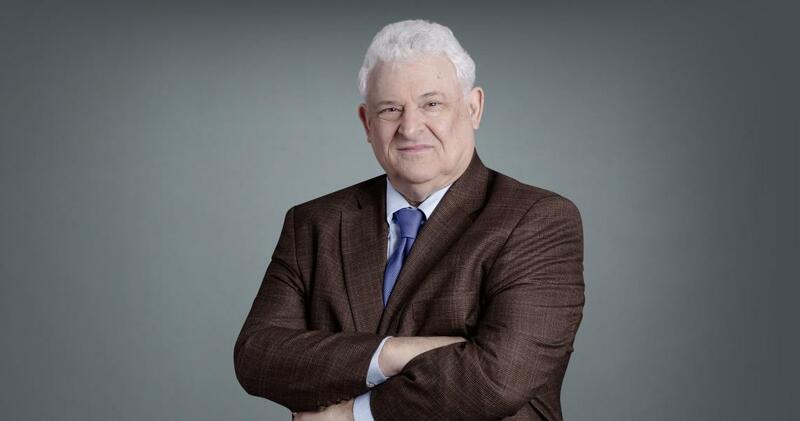 On Oct. 31, NJIT will host one of the country's leading voices in the field of bioethics, Arthur Caplan, Drs. William F. and Virginia Connolly Mitty Professor and founding head of the Division of Medical Ethics at NYU School of Medicine. Caplan, author and editor of 35 books and more than 725 papers published in peer-reviewed journals, will address some of today’s most pressing ethical quandaries — from current issues over the use of groundbreaking gene-editing technologies, to evolving questions surrounding physician-assisted dying and transplant research. Ahead of his appearance — hosted by NJIT’s College of Science and Liberal Arts and co-sponsored by Albert Dorman Honors College — we reached out to Caplan to discuss some of the topics that will be featured in his upcoming talk. To start, what initially sparked your career interest in bioethics, and what aspects of the field continue to interest you today? I got interested in bioethics early. When I was a little boy, I was one of the last people in America to get polio. I was in the Massachusetts General Hospital in Boston for many months and that long stay got me thinking about how doctors treated kids, about what to say to patients when there are no cures to treat their condition, and why my parents, my dog, and yes, even my sister, could not visit with me overnight. I know that experience shaped my interest. In what ways have recent technological trends or innovations transformed ethical concerns of some long-standing issues, such as physician-assisted dying? We have more and more technologies that can keep those who can afford them alive longer. However, they don’t always provide a good quality of life. So, issues now arise more often about how best to end one’s life. We can see technologies that are extending life, but they often leave people with mental impairment such as Alzheimer’s, stroke or Lewy body syndrome. While people may want to live longer, they are terrified that they might live longer while cognitively impaired or demented. Some of the technologies we have in regenerative medicine might allow our heart or kidneys to last longer, but we are not as good right now at repairing the brain. That is where the trade-off is coming between quality and quantity of life. Finding out that your body can live 50 more years, but it may be 50 years of dementia, is not a goal that most people would want to pursue. I think the big issue that will emerge soon in America is whether a person can have a surrogate, or a person that may ask for assistance in dying on your behalf if you cannot ask yourself because you have become mentally impaired. Of the topics you’ll be discussing here, is there one particular issue that stands out to you as perhaps most pressing for those in the bioethics community to pay attention to or better communicate to the public currently? How so? Genetic engineering. It is a hugely powerful tool, but one that often frightens people. Many people will not eat GMO food, which is simply silly. Others say they would not eat cloned meat, which is highly unethical in my view if you do eat meat. The public needs to understand the real dangers of genetic engineering, and it’s huge promise in the battle against animal and human disease. The big challenges will be in trying to figure out when something might be ready for human use, and determining how safe a certain technology or technique has to be before we say let’s try it. Recently, the U.K.’s leading ethics body, The Nuffield Council on Bioethics, released a report regarding the ethics of genome editing and human reproduction, stating that altering the DNA of a human embryo could be considered “morally permissible” if it is in the future interests of the child and does not add to greater inequities in society. How significant do you think the council’s report is, and what impact can you see this report or other early green light signals from countries like China having on the U.S. in terms of regulation and policy? I think engineering human embryos makes sense in trying to cure or eliminate genetic disease. But work needs to be done in animals to show the safety of these interventions. Cloning, for example, turned out to be very dangerous in animals. We should not be trying to fix embryos without a good track record in animals first. Ultimately, however, the issue isn’t reports like Nuffield’s. The issue is what funders and journals do. If rich people or governments and foundations support gene editing in China and elsewhere, and if journals are willing to publish their findings regardless of the ethics of what has been done, then dangerous and irresponsible research will get done. People sometimes look to governmental laws or international treaties to regulate things like CRISPR. But it is just as important that journals say we are not going to publish unless you follow strict ethical guidelines about informed consent in research review. In other words, it is nice to have a treaty, but what really matters to a scientist is getting credit, getting in print and being acknowledged as one of the pioneers in the field. Journals and their editorial policies are just as important to control the pace of genetic engineering as anything else. Some attention has been given to the idea of using gene-editing tools such as CRISPR/Cas9 for purposes of “designer babies,” engineered with genetic traits desired by the parents. Given our current limitations with this young technology, are there more immediate ethical questions you see with applying technologies like CRISPR/Cas9 in medicine and biomedical research at the moment? We can barely correct a disease using CRISPR right now, so talk of designer babies is getting way ahead of ourselves. Those issues may come to pass, but they will be decided by our children and our grandchildren. Oddly, early-use CRISPR is likely to appear for animals first. You may first have to think about the risk versus the benefit for a pet when someone says that they can try to fix feline leukemia or hip dysplasia in your cat or dog. A question would then become whether you would want them to try it knowing that it could cause more harm than good, and knowing that it is going to cost a lot of money. Another more immediate question might also be who owns what in terms of patents. Right now, most of this technology is patented and owned. It is almost as if I had a hammer and you have a nail, but neither of us will sell to the other what they need. Someone could one day benefit from having an exploration of their genetic disease, but it could be that the person who owns the patent for the technology to do so won’t make it available. It is always important to remember that patenting drives access. Maybe in the future we will decide we don’t want any patents of the basic tools and that we should step in and determine that we can’t have people not do research on something because they can’t afford the patent cost. Finally, in the journal Cambridge University Press, you published a series of essays titled, “It Is Hard to Get There without a Guide: How I Came to a Career in Bioethics.” Are there any early-career lessons from that that you’d pass along to students and philosophers of technology who may be setting out in the field? You need a good mentor. If you can find someone you can work well with and who will give you the proper time, that is the key.